You can make a lot of informed guesses about what the 2019 Mac Pro will be like but really the only certainties are that it's going to be expensive and that people will complain about that. We might even join in with that complaint as Apple does have this uncanny ability to pick a price point that is difficult yet not quite impossible for most people to pay. Then, too, if you compare the current Mac and iOS lineup with last year's, you can see a huge increase in prices. Don't just look at last year's, though. Look instead at every year since the original Mac back in 1984. There have always been flagship Macs that you lusted after but struggled to justify buying. At all other times, however, the top range machine was expensive. At nearly every time, it was dramatically more so than today's Macs. When Jef Raskin proposed the Macintosh in 1979, among its many features was that it would cost under $500 ($1,604 in today's money). Apple beat that $500 price goal, too —a quarter of a century later. In 2005 we got the Mac mini for $499 but it was without screen, mouse or keyboard. That original 1979 Mac idea of Raskin's soon went from notes on paper to an official plan for what he then decided to call the Apple V. Along the way, more features got added and that original price became impossible but, still, he thought it was going to cost under $1,000. According to Apple Confidential 2.0, Apple at this time had a "customary 400 percent cost of goods markup". Raskin's machine was going to be $1,500. He complained and on October 2, 1979, Steve Jobs told him "Don't worry about price, just specify the computer's abilities." Raskin didn't agree and demonstrated how much so by writing Jobs an impossible specification for the computer. "It can also synthesize music, even simulate Caruso singing with the Morman Tabernacle Choir," he wrote. "Starting with the abilities is nonsense," wrote Raskin. "We must start both with a price goal, and a set of abilities, and keep an eye on today's and the immediate future's technology. These factors must be all juggled together." The man talked sense but there's a reason he's forgotten in Apple history and it's because he was forced out. From Raskin's perspective, Steve Jobs was "a dreadful manager" but there is also the fact that Jobs had seen the light —at Xerox PARC. Without Raskin, there wouldn't be a Mac, but without Jobs taking over, it wouldn't be the Mac we know. Jobs did still try to keep the price under control. He wanted it to sell for $1,495 ($3,639 in today's money). When it finally came to ship, the Mac cost Apple $500 to build, including materials and labor, and that customary markup encompassing all of the company's other expenses beyond materials for construction should have made that first actual Mac sell for $1,995. Even that didn't happen, though, because then-CEO John Sculley spent $15 million on marketing and that was to be paid for by charging a higher price. 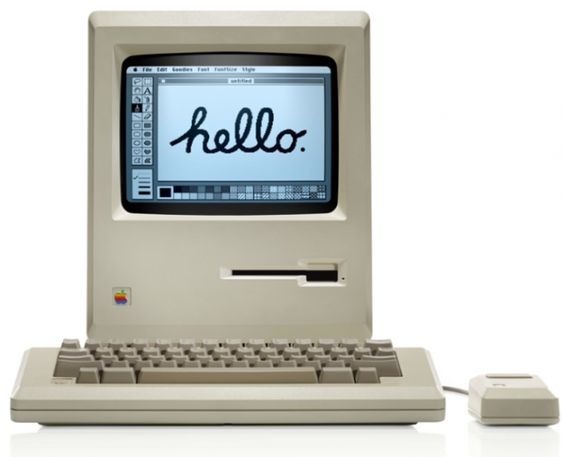 The original Mac went on sale in 1984 for $2,495 which equates to $6,073 today. That's six times the cost Raskin planned. There's no question: that original Mac was an expensive machine. Try buying a Mac for $6,073 today, though —you'll get two Mac Pros and some change. Or an iMac Pro plus a 12.9-inch iPad Pro. That original Mac is now usually referred to as the Mac 128. This is chiefly to differentiate it from later models, but it also points out the flaw that made this expensive computer fail —it had only 128k of RAM. Maybe people buying it back in 1984 had no way to know how much that really was because Jobs and Apple weren't exactly that forthcoming about it, but some immediately felt its limitation when they used the machine. 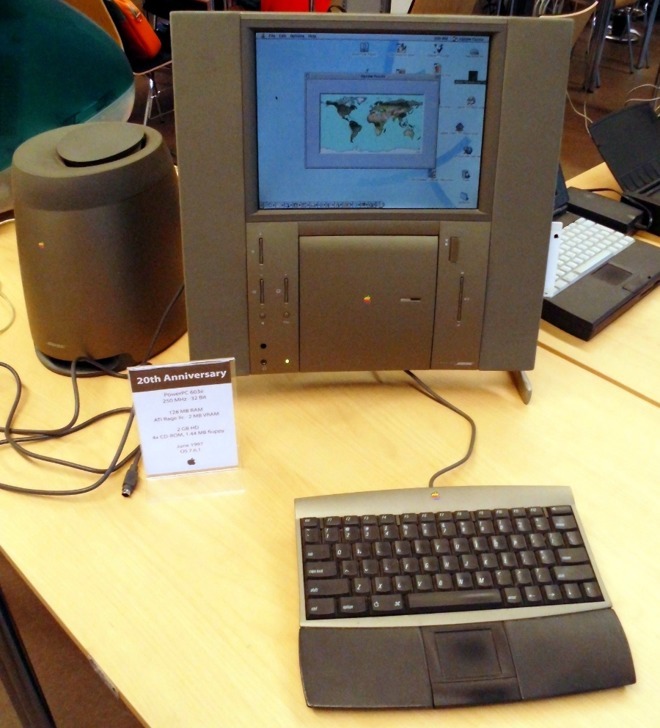 The original Mac's form factor, though, was a success. After the 512, 512Ke, and Mac Plus, Apple released the Macintosh SE. It had the same all-in-one style of unit with a handle for carrying, but it was far more powerful, with the user able to opt for an internal hard drive, or dual-floppies. It also brought along ADB and the need for a keyboard which you'd have to buy separately. It also cost more. The entry-level Mac SE with dual floppy drives (and without a keyboard) retailed for $2,898, or $6,451 corrected to 2018 dollars. Then if you had any experience with Macs, you saved up a few hundred more to get the version that had one floppy drive and one hard drive. That hard drive came with an astonishing 20 megabytes of storage space. While you were saving, though, Apple replaced this flagship Mac with another one. In 1989 there came the Mac SE/30 which began at $4,369 —$8,910 today. We've argued before that the best Mac ever made is the Mac Pro and we stand by that. Yet, for the devout, the SE/30 must surely come close. It was worth every cent at the time. Today we'd rather spend the same money on an 18-core iMac Pro with its RAM upgrade to 64GB and a Radeon Pro Vega 64 with 16GB of HBM2 memory just because we could. Nonetheless, the SE/30 was powerful, robust, compact, and if you used one, you wanted one then and you think fondly of it now. If you started using Macs just a year later in 1990, though, things were different. In 1990, every major magazine had at least one Macintosh IIfx and every single magazine production editor craved more. Apple Product Manager Frank Casanova was the first to call it "wicked fast" and absolutely everyone else did afterwards. They may have had different terms for the price, though. It cost between $9,000 and $12,000 then ($17,414 to $23,218 today) and that was before you bought a monitor, peripherals, or super-expensive active SCSI terminators. Go to the Apple Store and mentally spend $23,218. It won't take you very long but your fantasy shopping list could easily include that souped-up 18-core iMac Pro with maximum storage for over $13,000 plus 5 well-equipped i7 Mac minis. There is an exception to Apple's rule of flagship Macs being top-end, expensive, and using the latest technology. It's just one exception and it came in the same year as the IIfx. 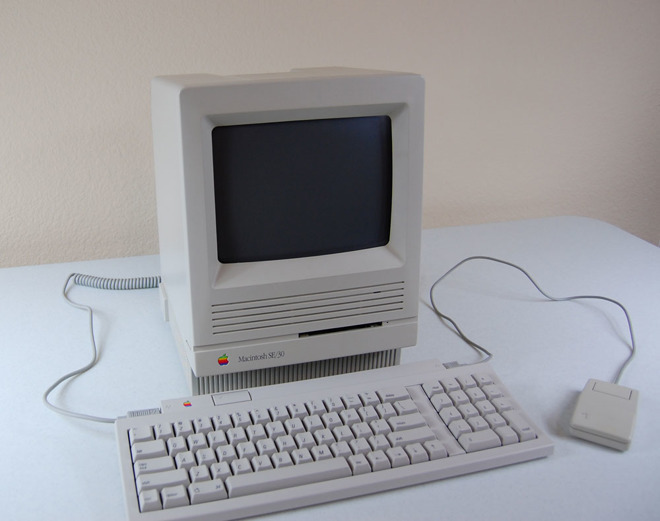 In 1990, Apple also released the Macintosh LC. That "LC" stood for low cost, at least unofficially, and the case was like an eager pizza box. A matching monitor came with it and the whole set cost $2,400 in its lowest configuration at launch. That's $4,643.64 in today's money so "low cost" must be relative. Yet it was half the price of the IIfx and a two thirds the price of the Mac SE. 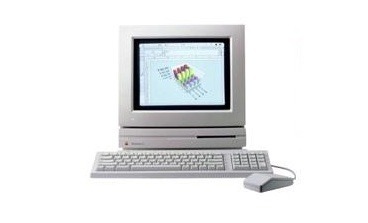 It certainly didn't perform as well as those models but it was a color Mac for home users. If not a flagship of the line, it was the one that you settled on lusting after when you'd seen the price of the IIfx. Today's nearest equivalent to the LC in intention is the Mac mini and for the same money you could now have one in every room of your house. If your house has 5.8 rooms in it. 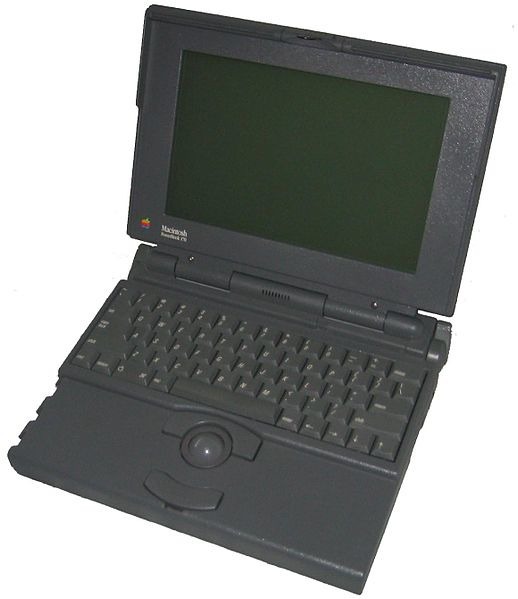 Then in 1991, Apple brought out the PowerBook. Every laptop computer you've ever seen since has copied the design. Nearly three decades on, there are only like 10 models that don't have a keyboard near the screen and a pointing device on the front palm rest. Of the three original models, there was a PowerBook 100 that perhaps was expected to be the big seller because it was the smallest by far. Yet there was also a middle-ground PowerBook 140 and then the real flagship, a top of the range PowerBook 170. It was noticeably faster but the real difference was in its screen. The PowerBook 170 had an active matrix display which meant text and graphics were sharper, clearer —and they didn't vanish for a moment when you scrolled. They were also in black and white, but you can't have everything. Not even for $4,600 in 1991 --- or $8,541 today. That'll get you just four MacBook Pro with Touch Bar today. Or seven entry-level MacBook Air machines. That PowerBook 100? It retailed for $2300. That's equivalent to about $4300 today, very similar to a well-equipped i9 15-inch MacBook Pro. And, we're not even going to talk about the PowerBook G3 in the PowerBook 3400 enclosure. To this day, you do get more Mac, more power, more storage from a desktop than you do from a portable. In 1997, that meant buying or at least wanting a beige G3 Power Mac —and paying a surprisingly low $1,599 or $2,519 today. That's at least on a par with the current Mac Pro in 2018 which costs $2,999. Back in 1991, that price you got a 233MHz PowerPC machine with a 4GB hard drive. In beige. We're not saying that's unexciting as it was a good, powerful machine. And 1997 was also the year where Apple showed its true colors in designing modern computers. Although it was far too late to really be called the Twentieth Anniversary Mac, that is the name Apple gave it. Strictly speaking, it was a PowerBook in a desktop casing because it used laptop components. Yet it used them well and produced one of the company's most stylish-looking machines. Before we tell you the price, please note that a Twentieth Anniversary Macintosh spent a few years as Jerry Seinfeld's computer in his sitcom. You can't assume Seinfeld was rich, though, not even because the machine initially retailed for $10,000 and could be delivered to you in a limousine by a concierge, bearing a nice leather-bound manual for it. We don't have a price for the limo equivalent today but even if you had it sent by Uber, you'd be paying $15,756 for the Mac in today's money. Or rather, you would if the machine's retail price hadn't tanked. By the time it was cancelled after just a single year, it was selling for a tenth of the cost. Or rather, it wasn't selling at all. Jef Raskin had a point 18 years earlier. There is no direct equivalent of the Twentieth Anniversary Mac today. It would be great to now be able to say you could go into an Apple Store and say you'll take seven iMac 5Ks. However, we have to settle for saying you'd get thirteen of the 21.5-inch model. Using laptop components and, for instance, mounting the CD drive vertically, were a way to get good looks in a machine more than they were to get performance. In 1999, Apple got us yearning for the opposite: a G4 tower range. For $2,499 you could have an entry-level Power Mac G4 mini tower. That's one-quarter of the cost of a Twentieth Anniversary Mac but, more surprisingly, just 99 bucks more than the Macintosh LC. The LC and the Power Mac G4 were nine years apart, though. And today that 1999 cost would be $3,793. You'd expect that as we get closer to today that inflation changes would make less and less of a difference but there have also been moves by Apple to make things cheaper. So in 2003, the company replaced the Power Mac G4 mini tower with a Power Mac G5. This is the start of the cheese-grater years and like we already said, they were good. Not only was the G5 predictably faster than the G4, it was cheaper, too. The base model started at $1,999 —or $2,747 today. Yet at this distance, what you can see is not especially that Apple was offering more power for a lower price but rather that it was reaching the end of PowerPC, as IBM and Motorola couldn't give the 3GHz that he promised to users, on the timetable that it was promised. In 2006, Apple kept that basic G5 design and replaced everything inside to get us the first Mac Pro. Its price went back up to the $2,499 of the G4 range and now that would be $3,134 today. 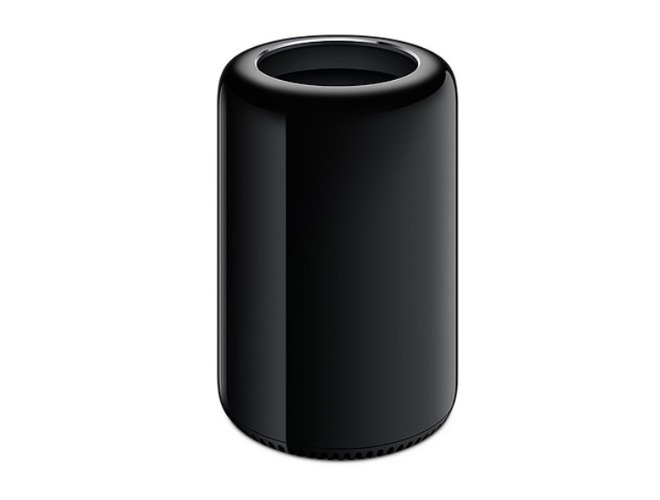 The beloved Mac Pro went through myriad configurations and had many updates but it lasted until 2013. 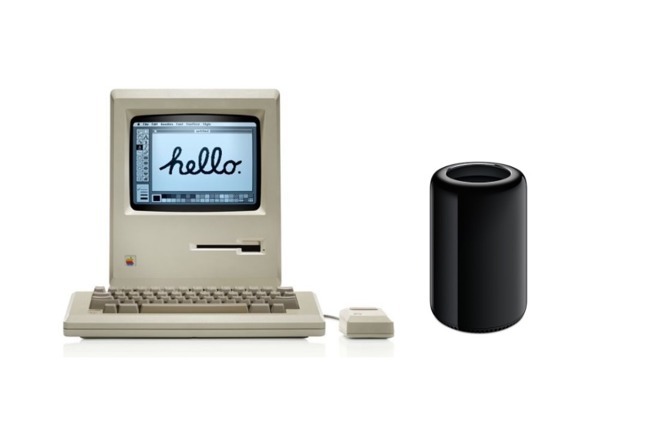 That's when it was replaced with the trashcan Mac Pro, a tiny, cylindrical computer that cost $2,999 at base. Today, just a few years on, that's the equivalent of $3,255 yet Apple continues to sell it for $2,999. So when anyone says Apple doesn't cut its prices, there you go. Today's $2,999 is what would've been $2,763 in 2013. Bargain? Of course, it's not very likely that Apple is selling many of these particular models at $2,999 or especially its higher-priced configurations. Not when we know that there will be a be a new Mac Pro in 2019. We can truly be certain that this is going to be a very expensive new Mac. Yet simply comparing prices adjusted for inflation, it's going to be a bargain. We're not even attempting to compare how much more powerful and fast a 2019 Mac Pro is going to be next to the original Mac or the Twentieth Anniversary edition. Coupled with pricing on storage and RAM upgrades, a new Mac can get unpleasant at that bottom line in a hurry. On some models, you can get around Apple's pricing on that —but not on all of them. But, none of this is new, or a surprise, and not even this piece looks at total cost of ownership over time or at what cost productivity, which in both cases remains better than the alternative. We've also still not discussed the improvement in reliability from some of Apple's engineering choices versus user-replaceable components which all factors in to total cost of ownership —but that day is approaching. You get what you pay for, in all things.